You will be wonderstruck at how much the small island nation of Sri Lanka has in store for the visitor. Olanka Travels can make this dream vacation for you possible. Beaches, heritage, majestic mountains, wildlife, lush greens, and the hospitality of the people – as if all of this was tailor-made for the tourists. No wonder, this welcoming island nation sees millions of tourist arrivals every year. With that comes the crowds, but what if you were looking for some vacation sans the crowds, a quiet shack by the beach, or the serenity of a monastery? Well, the island nation wouldn’t disappoint you. You can always find While Kandy, Dambulla, Mirissa, or Bentota are enticing, the lesser known Jaffna, Mulkirigala and Trincomalle are exquisite. With a quaint colonial charm and a mix of Muslim, Portuguese and Dutch influences alongside colorful temples, the city is the perfect getaway for the weary soul. A string of islands that lie to the west of Jaffna are connected by causeways and offer connectivity to the superb beaches on Delft island and the Nallur Kandaswamy Hindu temple, as also the Hindu and Buddhist shrines on Nainativu Island. You would surely catch a whiff of southern India while in Jaffna as many immigrants from the India state of Tamil Nadu have settled down here through the ages. Do take a trip to Point Pedro, which is the northernmost tip of this island nation. 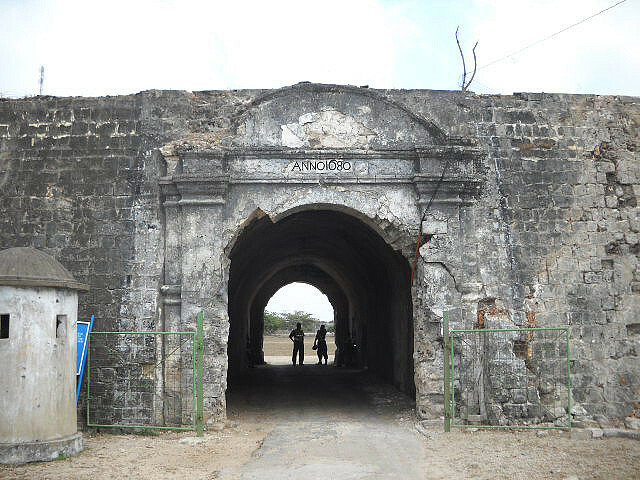 The Jaffna fort that was built by the Portuguese in 1618 and was later controlled by the Dutch and the British is a spot worth a visit. The Fort Hammenhiel that stands at the entrance of the Jaffna lagoon overlooking the sea is a majestic construction and guards the water passage to the Key Fort in Jaffna. 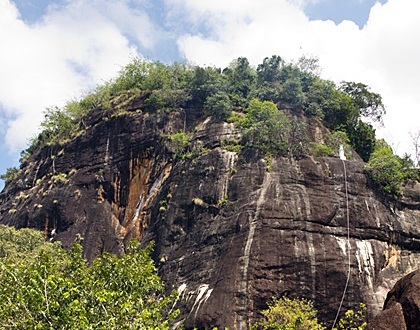 Other places worth visiting are the springs of Keerimalai, the Buddhist stupas at Nagadeepa Purana Raja Maha Viharaya, and Anuradhapura city, a famous pilgrimage center for Buddhists. Dating back almost 2000 years, these old cave temples that dangle off a rocky edge are breathtaking. Nestled among lush green environs in a dense grove of coconut trees, the Buddhist sanctuaries of Mulkirigala, off the town of Tangalla is a must visit. The temples that are carved out of a 206-meter rock can be accessed by climbing up the 500 odd stone stairs and terraces. The peace here is pristine. When climbing, you will get to see seven caves that are located on five different levels. The caves house majestic statues of the Buddha in reclining and standing positions. No less majestic than the Dambulla Golden Temple, the c is the most significant. The walls are adorned with fantastic wall paintings depicting sinners enjoying the forbidden fruits and then suffering an afterlife of torture. The small dagoba at the top offers a superb 360-degree view of the surroundings. While Mirissa on the south coast is well-known for whale sightings, the crowds there can be a big dampener. Get away from the crowds to the beaches at Nilaveli in north-east Sri Lanka near the city of Trincomalee. Equally impressive, the waters here are a pristine blue and the sandy soft, secluded beaches are fabulous. Just off the coast, you could sail for as little as 30-minutes to catch sightings of blue and sometimes sperm whales during March-April or between August and September. Dolphins are regularly sighted off this coast. You could climb up the Swarmi Rock to the south of the town to get majestic views of the shoreline. The Nilaveli beach is reputed to be the cleanest and purest white sand beaches in south-east Asia. Recreational options include snorkeling, scuba diving, surfing, and beach games. Forget the beaches of Bentota or Arugam Bay and instead head for the Kalpitiya peninsula and the pristine beaches of Kalkudah. Both these places are far, far off the tourist radar and hence you can quietly tuck into a budget resort and enjoy a peaceful vacation. The best part is that during the months of May to September when the winds are relatively strong, you can go for a wide variety of water sports activities. Kite surfing is hugely popular and can be done at sea or on the numerous lagoons that dot the region. The offshore Bar Reef, off Kalpitiya, is a must visit to watch the wonderful marine sanctuary. At Kalkudah, the long swathe of the beach is spectacular and is very popular with budget travelers and wind-surfers.